Make an impact with this charming design! These handy sticky notes can be stuck to computer screens, dashboards, desks or phones. Don’t forget those important phone messages or that page in your book that needs to be flagged. These white notes feature a modern circle and dot design along the outer edge of the bottom right corner. 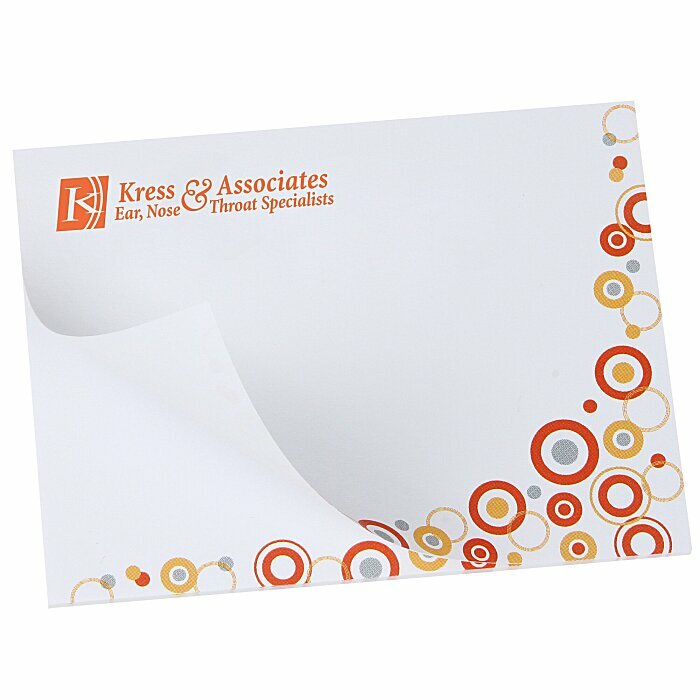 Each Bic® Sticky Note pad includes 50 sheets. After 500 pieces, orders must be placed in increments of 500. Size: 76 x 101mm (3" x 4"). Your price includes a full-colour imprint on each sheet.